Christmas! The trees, the lights, the smells, the surprises, the food and the family get togethers, there’s a feeling in the air that something miraculously wonderful is about to happen. The birth of Jesus is miraculous because he is the one who sacrificed himself for us and gave us eternal life. But this season can also be one of the most stressful time of the year. 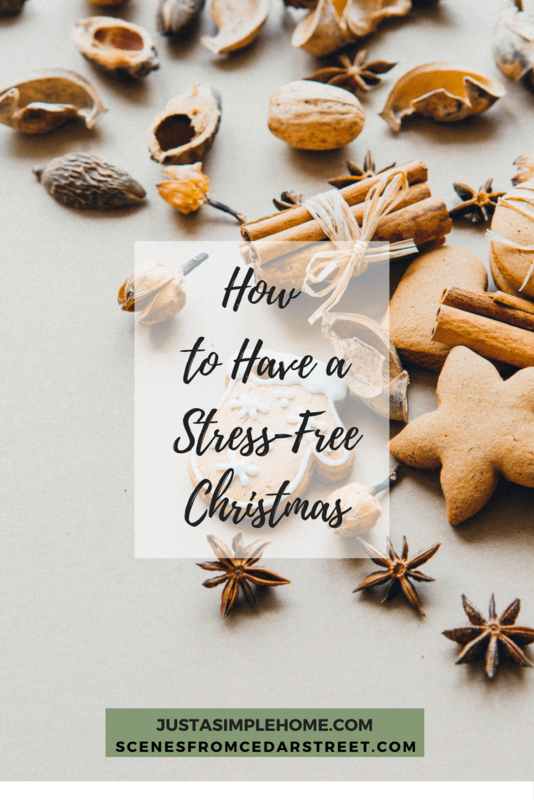 It’s easy to forget why we are celebrating Christmas and focus on the parties, shopping, cooking, family, which are all fun and good things but also all things that can lead to stress, exhaustion, and over commitments. Establish What Your Family is About. I have the privilege of co-leading our local MOPS group. In one of our recent meetings we talked about how to establish what your family is about. I thought this was brilliant. When you’re trying to make tough decisions on whether or not you should commit to this party, or let your children start this or that club/team, you can go back and see if it matches up with your family goals. This is something that would be good to talk to your husband about so that you are both on the same page. When you’re finished setting your goals, you can print it out and hang it somewhere to remind yourself and your family. During Christmas time there are so many GOOD things to do. Setting boundaries like “we won’t be out more then two nights in a row,” or “ no more than 2 relatives spending the night at a time.” etc. can help you know when to say no. If there are no set boundaries than decisions will be harder to make and it will be easier to get overwhelmed and stressed out. Prioritize the Things You Love. If your family loves to attend your towns “Lighting of the Christmas Tree,” or church event, make sure you mark that on your calendar early so if something comes up you can say no. If making Christmas cookies is one of your favorite traditions than make sure you carve out time to do that. It’s so easy for the business of the season to sneak up on you and then when it’s over you realize you didn’t do half of the things that you really wanted to do. This also applies to family and extended family Christmases. If you enjoy quality time with friends and family on Christmas day, you may need to decide to only be at one side of the family that day. This is a combination of everything I’ve already said. But when it starts getting hard to say no and the fear of FOMO becomes almost too hard to bear, remind yourself of what matters to your family and what’s important to you. Being a happy, non-stressed, family is more important than missing out the fifth Christmas cookie exchange that you were invited too. If you have no idea where to begin with making a family statement or creating boundaries, I’ve created a sample that you can look at for inspiration. It doesn’t have to me long and wordy, it can be simple and to the point. I hope this helps you and your family have a beautiful, and non-stressed Christmas season! 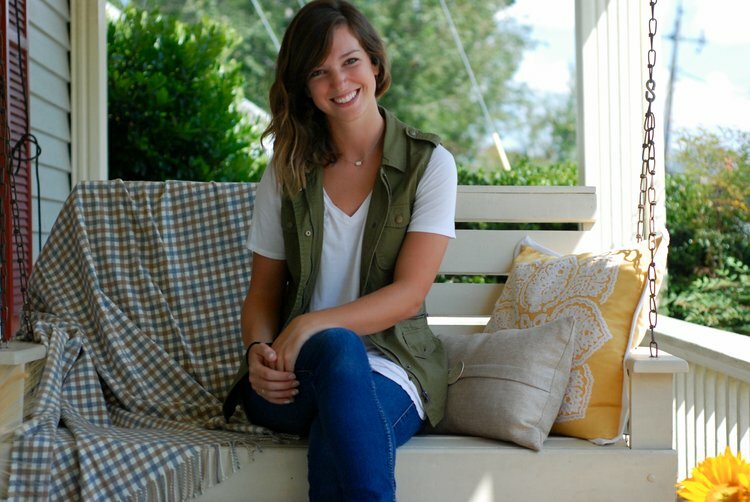 My name is Leah Weber and I live in a small town right outside Atlanta, GA with my husband and one-year-old little girl. I work alongside my husband in college ministry and it is one of my greatest joys to mentor young women. I’m an introvert and need my alone time, but I also love hanging out with people. My main passion in life is to bring beauty to a broken world. What do I mean by that? Everything in this world has been tainted by sin. Because of this, everything that was once beautiful has been broken in some way. Relationships, cities, people, governments, are all broken. But God is the ultimate giver of hope and restorer of beauty. It is my desire that this space will bring a little loveliness back into people’s lives. Prioritize things you love I think is key, well at least for me. When I focus on my love for God and people, Christmas becomes more about them, than gifts. Thanks for sharing. Stopping by from Salt and Light Link up.